Zip Wrench the new automatic powered wrench that opens and closes with just the push of the button instantly adjusts to any size nut or bolt! 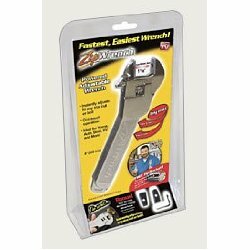 With your help we can reach more people and let them know about Zip Wrench whether this product works or not. I used the zip wrench twice and it broke. It was a Gift.